This is how I want to wear my make-up fall 2012. That is an incredibly classy collection – I like the subtle orange and pale blue nuances which play against each other nicely without being too brash. the prints are so intricate & fascinating! Exquisite light…great shot beautiful clothes hair and makeup Bravo!! 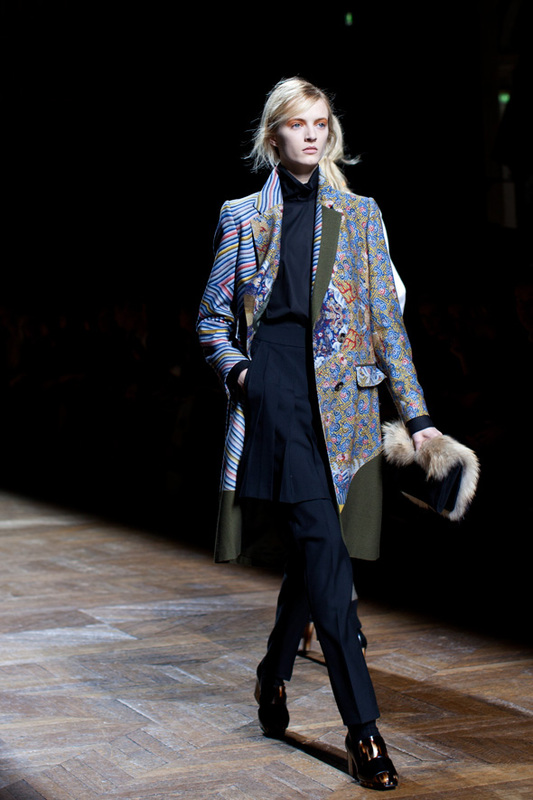 I have always been a huge fan of Dries Van Noten. The clothing dances the fine line of masculine and feminine in the best way possible. This line is impeccable. EXQUISITE! 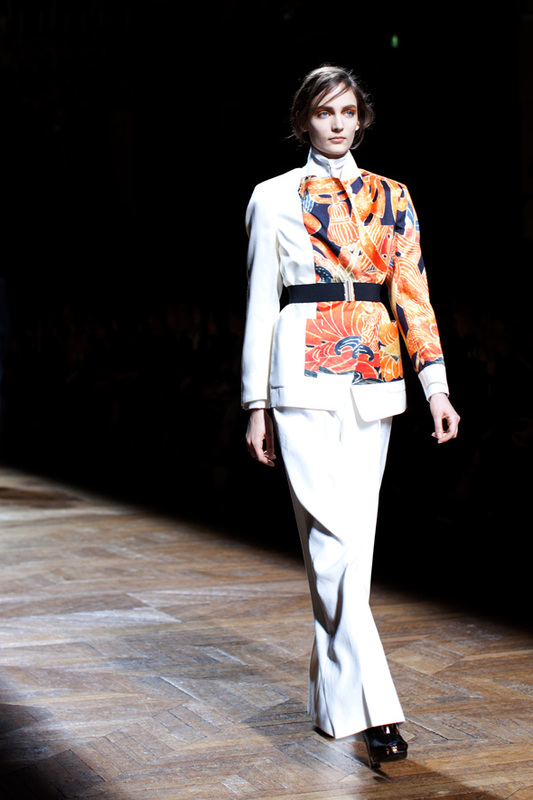 Kudos to Dries for a truly stunning collection. The eastern influences teamed with something quite military but luche at the same time is the perfect mix. The accessories are amazing; I love the use of tortoise shell and that fur clutch…so well done! A very wearable collection; I expect to see a lot of it being worn on the streets. I never thought I’d write in to say I liked a fashion show. Usually I hit the street fashion immediately afterwards to get the taste out of my mouth. But this stuff is incredible. The phoenix on the blazer! The blue and green trousers! The Asian thing, revisited. The color, the humor, the feeling that whole point is to have fun and revel. I even like the shoes. Time to start saving for fall Dries pieces. Wow! Dries is my favourite designer. Extreme refinement, finesse and creativity. Beautiful, beautiful, timeless clothes. Love all of this so much. The prints are so graphic. It’s like you placed rolls of different patterned fabrics on top of each other and then just cut the suits with the existing overlap. Love it. Oh my god. These pieces are stunning. Works of art. I am DROOLING! I love the colors… the first jacket is fantastic! 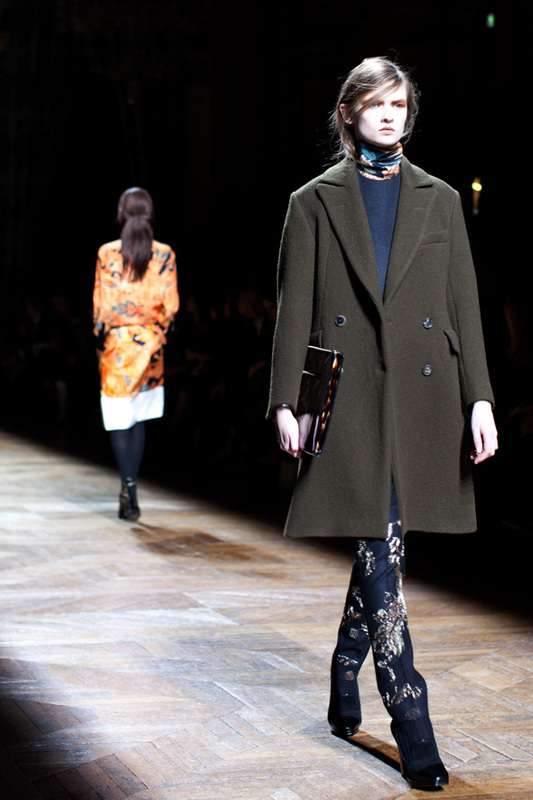 Dries Van Noten Fall/Winter 2012 … lovely … I adore the mix and match between rigorous forms and strong colors !!! Do you have a shot of the back of the first coat pictured? I so curious about how the prints meet. I love the bold colors and prints! it seems to be the trend for fall/winter 2012! I am loving it! stunning! 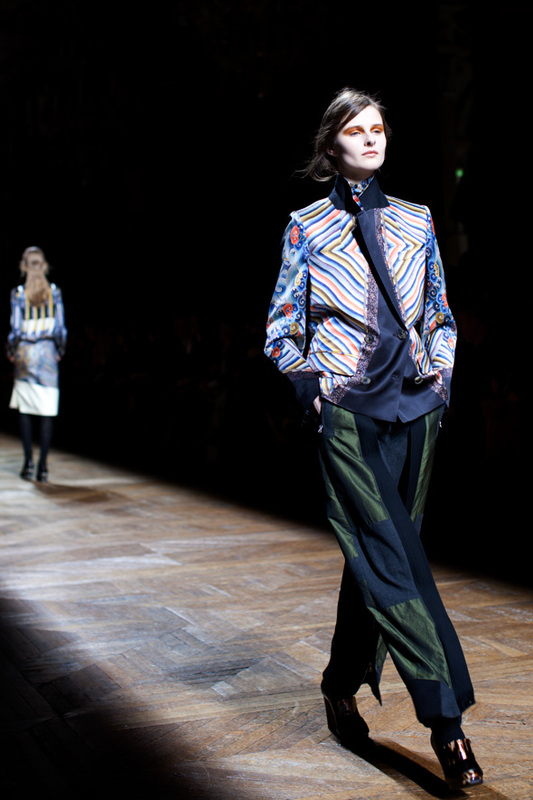 I love Dries Van Noten! I am so curious to discover if asiatic people appreciates how he is using the patterns and material. It’s such a meeting between east and west. Women from Shanghai who are sometimes so classy, are they going to buy it ? There is some pieces really gorgeous. It’s really clear that he tries to seduce them. love the chinese inspired textiles! Love the colors !!! Specially the blue and white coat!!! Perfect mix of masculine and feminine. Love the print detail and that blue blazer is just exquisite! 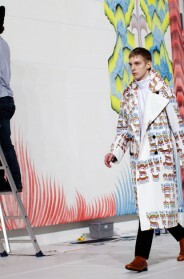 Dries is instantly recognizable. Pure class. I love the rich colours and understated prints. Ps I love your blog! love the colours!! a really beautiful colecction! Beautiful gear – looks like it owes something to Desigual print-blocking, one of the most appealing style ideas in the past few years. With Dries as my #1 favourite designer, and a fan of all things Oriental, this was simply amazing! The outerwear in particular… STUNNING! Blue jacket with embroidery is absolutely stunning … I would totally wear that … if I could afford it! I LOVE the combinations of fabrics. The Dutch are coming through and snatching title belts. Wow, those are some amazing coats and jackets. I think the first one is my favorite. 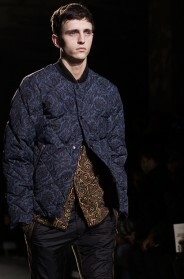 The renovation of coats and jackets…something not easy to do with importants pieces.Van Noten gets it with success. The jackets, the coats…aaargh. Too beautiful for words. In love with all the beautiful print. i only splurge to collect dries at this point for this reason. so glad that Belgium can claim him ! it looks very Ming Dynasty chinoiserie, especially the triangle rainbow stripes, used to be the patterns on the uniforms of government officials. And of course the dragon embroideries, just exquisite. I’d love to buy a piece as birthday present to my mom! 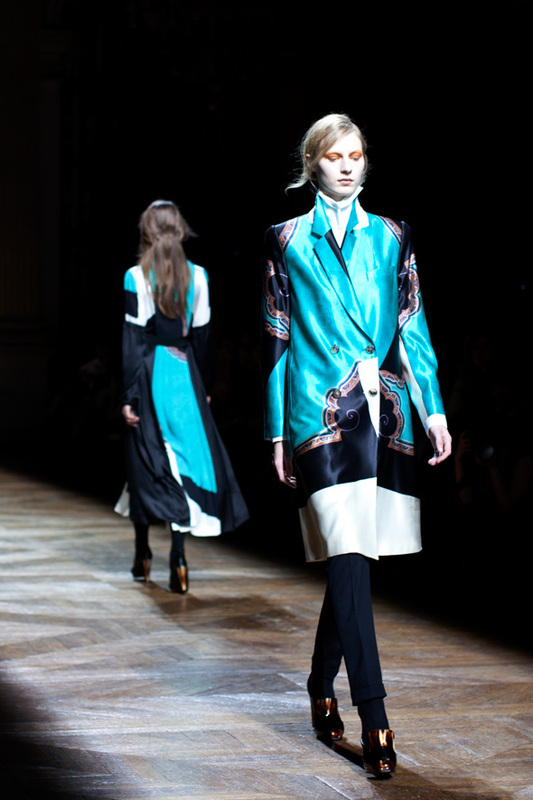 all my love to dries van noten! Beautiful collection, especially love the first three pictures! 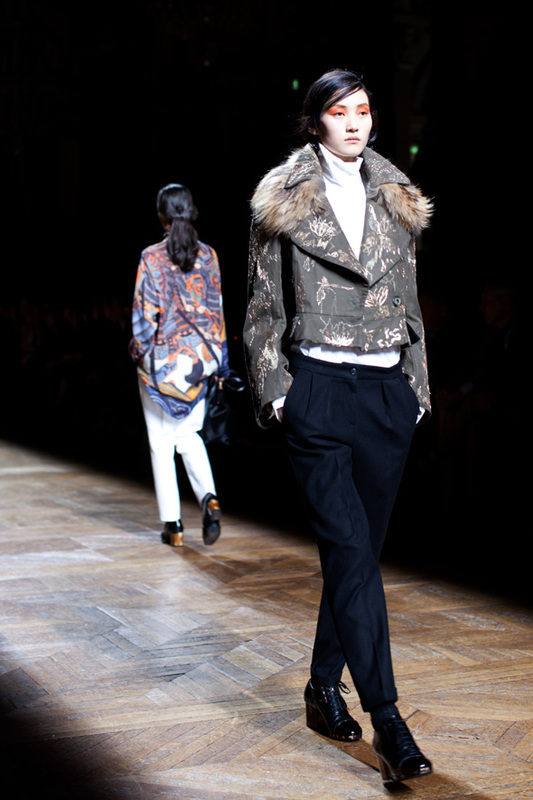 Simply love Dries Van Noten…. And in the alternative, revisit your own closet of clothing & use his imagination to create your own look. His collections are classy, imaginative and have staying power. The colors and the prints are just wonderful! I love the Tibetan influence – so classy! The print on the first coat and jacket is extracted from ancient Chinese Empror’s royal gown – it is so grand yet colorful and full of energy! It’s the modern way of using the asian element that impressed me the most. The first glimps of the photos made me speechless. Very clever. Chinese Imperial robe patterns “cut up” and re-distributed! I will go and cut mine up right away. The first and the last coats are so beautiful and crazy! I like the lines and tailoring too, not only the colour play. Beautifull collection…I love the last print! 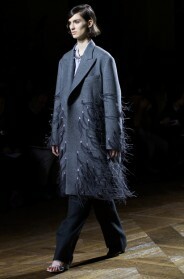 the coats and fabrics are wonderfull, the cut is not always as flattering as I would like to see, but the shoes people! the shoes! those 2 blazer on the top entries,really loos like Indonesian traditional Indonesian BATIK ..are they really inspired from indonesian traditonal fabrics?